Specially designed for serpentine and reversing drives, Double V-belts transmit power from both sides of the belt. Polyester cords and cotton/polyester cover provide maximum strength and length stability with minimum stretch. These belts conform to ARPM Engineering Standard IP-21. 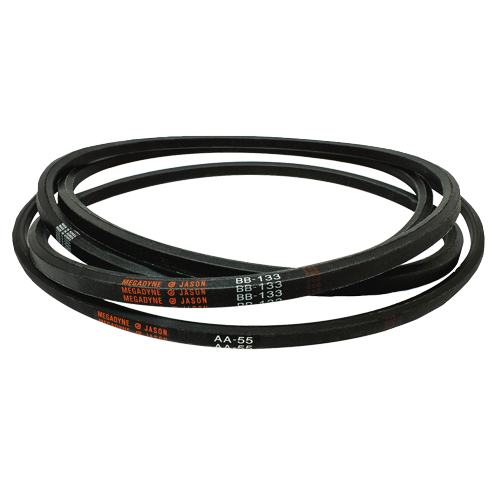 Double V-belts are available in three standard ARPM sections – AA, BB and CC – and in lengths up to 540 inches. Are you interested in UniMatch Double-V?